On the dais, Governor Arnold Schwarzenegger--his jaw jutting, his chest thrust forward, his unlined bronze face frozen in a smile--is flanked by four small black schoolchildren, one of whom gazes up at him in rapt wonderment. Behind him stands Latina Democratic State Senator Martha Escutia, and in front of him are crates and baskets of oranges, avocados, and grapes. Schwarzenegger has called a press conference to announce his support for Escutia's Healthy Schools Now Act, which would encourage schoolchildren to forgo junk food. But the event, held here on July 25, was about more than just cute kids and healthy snacks. Over the past eight months, Schwarzenegger has had rancorous conflicts with nurses, firefighters, police, and teachers, while voters were treated to revelations of his personal excesses and ethical lapses--most recently, The Sacramento Bee's report that the California governor was under contract to body- building magazines that make money from advertising notoriously unhealthy dietary supplements. This, then, was the first of many summer events intended to revive Schwarzenegger's standing among the state's disillusioned electorate. The presence of a Democrat on the platform was meant to recall that, when Schwarzenegger ran for office, he did so as a bipartisan centrist who enjoyed wide support among Democrats and independents. The presence of Escutia in particular was supposed to comfort Latino voters who were offended when Schwarzenegger endorsed the Minutemen, vigilantes who have tried to prevent Mexicans from illegally entering the United States. Schwarzenegger's endorsement of Escutia's bill was meant to show that there was at least one business group, the California-Nevada Soft Drink Association, that the governor was willing to offend. Even the oranges, avocados, and grapes had a political purpose: to make voters forget that, a year earlier, Schwarzenegger had vetoed a bill designed to keep the dangerous dietary supplements advertised in body-building magazines out of high school locker rooms. But, like Schwarzenegger's subsequent efforts to repair his image this summer, this one, too, fell flat. At the press conference, reporters largely ignored the baskets of fruits and vegetables and focused instead on the highly unpopular special election that Schwarzenegger has called this November in order to pass initiatives crafted by Republican operatives and California business groups--initiatives that would give the governor new authority to cut spending, delay public school teachers' tenure, and force a mid-decade redistricting of the state legislature. "I will work very hard to come up with a bipartisan solution," Schwarzenegger pledged, but he refused to say whether he would cancel the special election. Escutia, asked to comment, said, "A lot of us are willing to work with him, but I frankly don't think the special election is the way to go. If I were his adviser, I would say, 'Cancel the election.'" 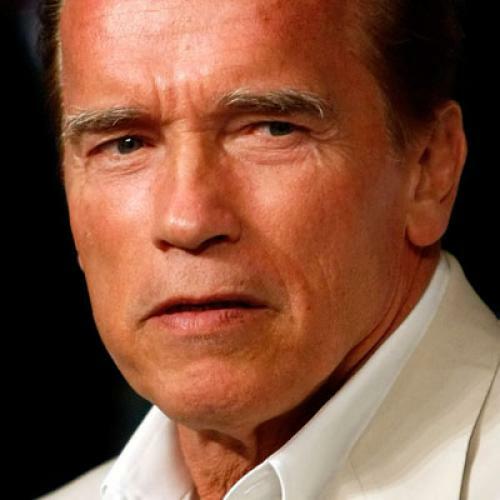 During these last months, Schwarzenegger has seen his popularity in the state plummet--from 65 percent approval in the September 2004 Field Poll to only 37 percent in June. Of particular note, he lost ground among political independents--the fastest-growing part of the California electorate. Schwarzenegger could still win back these voters' trust, but his days as a political matinee idol are clearly over, as is any talk of modifying the Constitution to allow the Austrian-born actor to run for president. His main concern now has to be winning reelection in 2006, which, according to the Field Poll, seems in doubt even against the colorless Democratic front-runner, State Treasurer Phil Angelides. It's easy to see Schwarzenegger's fall simply as the result of his political inexperience, except for one important fact: Schwarzenegger's pattern of failure is nearly identical to that of his more battle-tested predecessors, Republican Pete Wilson and Democrat Gray Davis. Like Schwarzenegger, both Wilson and Davis ran as centrists: Wilson was pro-choice; Davis avidly courted business. Based on their initial popularity, both men came to harbor presidential ambitions. But, like Schwarzenegger, they fell from grace. Wilson's approval rating had fallen to 40 percent on the eve of the 1994 gubernatorial election. He won reelection largely because he ran a successful negative campaign against a gaffe-prone opponent. Wilson's approval rating remained below 50 percent for his second term. Davis's approval was only 39 percent on the eve of his reelection against an even weaker opponent, and he, of course, was recalled by voters in October 2003. As these similarities suggest, Schwarzenegger's difficulties as governor have more to do with California than with his own ineptitude. Over the last 30 years, the Golden State has developed economic and political fault lines that have made it difficult for any governor to succeed. These divisions separate business and labor, and they limit options for the legislature and for the governor. They undermine the ability of legislators and governors to act in California's long-term interest. And, after an initial electoral success, they make genuine--rather than simply cosmetic--centrism difficult, if not impossible. Schwarzenegger could have delayed his own fall, or made it less precipitous. But, given the state of California politics, a fall was almost inevitable. California was, and perhaps still is, the great success story of the post- orld War II United States. "We are the national culture, at its most energetic end," Californian Wallace Stegner declared in 1959. Already a leader in agriculture, California became the center of the nation's aerospace, electronics, and entertainment industries and the principal gateway to the Asian boom. It enjoyed abundant natural resources, a moderate climate, and a steady stream of immigrants, mostly from the Midwest. But California also benefited from three able governors, Republicans Earl Warren and Goodwin Knight and Democrat Edmund G. "Pat" Brown. Each was a centrist--Warren would get the Democratic as well as the Republican nomination--who, with the support of the state's business and labor leadership, built highways, hospitals, and irrigation systems and funded what came to be seen as the nation's outstanding educational system, based upon a master plan that gave each California high school graduate the chance to attend college. In the mid-'60s, with the rise of the student and civil rights movements--and the outbreak of riots in Los Angeles and San Francisco--California politics became polarized. In 1966, conservative Republican Ronald Reagan defeated Brown, largely on the strength of his opposition to student protestors. But, as governor, Reagan's ideological proclivities were kept in check by California's moderate political establishment and by the state legislature. The state's political establishment, which influenced--but was not part of--government, consisted broadly of the leaders of the state's major banks, industries, labor unions, academic institutions, and newspapers, but it was dominated by well-known businessmen like William Hewlett and David Packard of Hewlett-Packard, and prominent families like the Chandlers (who owned the Los Angeles Times). Most of these individuals were moderate Republicans who worked amicably with Brown as well as Warren and Knight. When Reagan veered right, they steered him back to center--pressuring him, for instance, to increase rather than reduce spending on higher education. Similarly, the state legislature, dominated by moderate Democrats and Republicans, forced Reagan to forgo regressive tax cuts and punitive welfare reforms. But, in the late '70s, during the governorship of Pat Brown's son, Jerry, these foundations of California's political centrism began to erode, and, by the mid-'90s, they had disintegrated, making effective governance nearly impossible. California was partly victimized by the sharp national divisions that emerged after conservative Republicans took over Congress in 1994, but the state contributed to its own troubles. The seminal event, as former Sacramento Bee editorial page editor Peter Schrag recounts in his classic work, Paradise Lost, was the passage of Proposition 13. Proposition 13 was a product of California's success. In the late '70s, the national economy was floundering, but California was still booming. Indeed, the state enjoyed a large budget surplus. But part of that surplus came from a dramatic rise in property tax rates, which was the result of earlier legislation that had changed assessment practices. Average home values had risen from $34,000 in 1974 to $85,000 in 1978, and California's property tax bills were 50 percent higher than the national average. Jerry Brown, preoccupied with national ambitions, failed to anticipate the tax revolt. Taking advantage of California's liberal initiative provision, conservative Republicans Howard Jarvis and Paul Gann put Proposition 13 on the ballot in 1978. Proposition 13 drastically scaled back property taxes by revaluing residential and commercial property at their 1975 values, allowing assessments to rise from that point a maximum of 2 percent a year and to be taxed at a maximum of 1 percent. Brown, backed by the state's political establishment, including the major business organizations and unions, fought it, but to no avail. Voters, angered by their tax bills, adopted it by almost two to one. That immediately produced a 53 percent--or $6.1 billion--reduction in property taxes, primarily from taxes on commercial property. The drain in revenue put sharp downward pressure on state spending for public services. The loss could have been made up through other tax increases, but Proposition 13 included a provision requiring a prohibitive two-thirds vote to adopt state and local tax increases. And, even if revenue could have been increased, the amount governors and the legislature could spend was limited by another Gann-sponsored initiative, Proposition 4, adopted the following year. As a result of the initiatives, California's public services deteriorated, with the most important and visible casualty being the state's educational system. In 1969-1970, California's per-pupil expenditure was $400 above the national average; by 1999-2000, with the impact of Proposition 13, it was $600 below. All aspects of school spending suffered--from school libraries to special education. Astonishingly, California, the home of Silicon Valley, ranked last among states for student access to the Internet in 2001. On the National Assessment of Educational Progress tests, California students scored lowest from 1990 to 2003 of any states except Louisiana and Mississippi. As schools, roads, bridges, and hospitals suffered under Proposition 13, Californians clamored for increased spending, but a solid bloc of voters-- comprising perhaps as much as half the electorate--remained reluctant to finance it, whether through modifying Proposition 13 or raising other taxes. That created an intolerable contradiction that manifested itself in protracted battles within the legislature and between governors and state representatives. At the increasingly extreme ends of the political spectrum, liberal Democrats demanded spending and tax increases (through modifying Proposition 13), while hard-line conservatives--now dubbed "Jarvis Republicans"--favored cutting spending and taxes. In the first term of Republican Governor George Deukmejian, who succeeded Jerry Brown in 1983, these fights were mitigated by a boom in the California economy created by President Reagan's military spending. But, when the economy faltered during Deukmejian's second term, the battle began again in earnest. There were, however, still vestiges of a legislative and political establishment that could bridge the chasm between the left and right. In 1989, an alliance of business and labor successfully backed an initiative increasing the gasoline tax to fund the state's deteriorating highway system. The next year, the same alliance backed Proposition 111, which weakened Gann's limits on state spending. The alliance persisted through the first year of Deukmejian's successor, Pete Wilson, urging him to raise income tax rates on the wealthiest Californians in order to defray a $6 billion deficit that Wilson had inherited. Pressed by Kirk West, the president of the Chamber of Commerce, Wilson finally agreed, although the increase was limited to five years. These efforts showed that veteran legislators and members of the state's political establishment could still address the state's fiscal crisis. The center continued to hold, but not for long. During the '90s, the two pillars of California's centrism--the legislative leadership and the establishment--finally collapsed. As services declined, and as the legislature and governor were unable to agree on budgets, California voters punished the politicians by adopting Proposition 140, which limited assembly members to six years and state senators to eight years, and which drastically reduced the legislature's staff. That measure, promoted by Republican conservatives, made it impossible for politicians to establish their own power base and expertise in Sacramento. Wrote Schrag, "The legislature has in effect become like a Greyhound bus station, where some people have just arrived and where others are waiting to leave, and where few have any particular interest in, or loyalty, to the place through which they must pass." Proposition 140 also made legislators more dependent on lobbies for money and legislative analysis-- Republicans on business and Democrats on labor--at the same time as the national parties were also becoming more polarized between conservatives and liberals. The moderate center of California politics simply vanished, and with it went compromise and deliberation. The state legislature, which, during the Reagan, Jerry Brown, and Deukmejian years had continued to play a useful role in resolving conflicts between left and right, now merely echoed those conflicts. The influential establishment crumbled when business leaders abdicated their stake in California's long-term future, as many of the state's major corporations either disappeared or became adjuncts of global companies. In 1983, for instance, when the state faced a $3 billion budget deficit, Bank of America CEO Sam Armacost went to Sacramento to offer Deukmejian an $850 million loan. That wouldn't happen today. Bank of America left its San Francisco headquarters after it merged with NationsBank of Charlotte, North Carolina in 1998. Even the Los Angeles Times is now owned by Chicago's Tribune Company. There are still some business leaders, such as Netflix CEO Reed Hastings, who play a constructive role in state politics, but they lack the stature and clout of David Packard or Dorothy Chandler. California businesses now operate primarily through three groups: the California Business Roundtable, the California Chamber of Commerce, and the corporate California Taxpayers' Association. In 1978, all three opposed Proposition 13. But now they often find themselves allied in state politics with the more conservative Howard Jarvis Taxpayers' Association, rejecting any increase in taxes and blindly insisting that Proposition 13 has had no ill effects. Bill Hauck, the Roundtable's director, dismisses as a "myth" the claim that Proposition 13 hurts state revenue. "California will always have scarce revenues," says Hauck. "You could raise taxes, and lower spending, and you'd still have scarce resources." Hauck also dismisses the connection between state spending and education. "If there were a direct correlation between money and achievement, then DC schools would be getting the best education. Money isn't necessarily the answer." The business leaders even deny the obvious--that, by calculating taxes on old homes and factories on the 1975 basis and new homes and factories at prevailing market rates, Proposition 13 has rewarded economic stasis and penalized new investment. According to an advisory board member at Intel--a Santa Clara company--which recently announced a new $3 billion chip factory in Arizona, didn't even consider building the facility in California partly because of the state's screwball tax structure. But Larry McCarthy, who heads the California Taxpayers' Association, says that Proposition 13 actually helps business. "Our members believe the property tax is one source of stability.... When we make an investment, we know what the property tax is going to be." Like the legislature, the state's business leadership has ceased to be a counterweight to the centrifugal forces pulling California politics apart; instead, it is now one of those forces. State legislators can cater to the demands of their most vocal constituents, whether on the right or the left, but California's governors don't have that luxury. The public, and particularly the growing segment of voters who identify themselves as "independents," wants governors to be genuine centrists. But-- with the public divided over what policies to pursue, with the legislature paralyzed by Proposition 140, and with business leaders focused on their short- term bottom lines--there is simply no consensus on which to base a genuine centrism. Governors find themselves with three equally unpalatable choices: to embrace business and the Jarvis Republicans' conservative agenda, to go with liberal Democrats who want to increase spending and modify Proposition 13, or to equivocate in the hope that an economic downturn won't force them to choose between left and right. Whichever alternative they have chosen, they have eventually found themselves in the political doghouse. Wilson, who had bitterly opposed Proposition 13 when he served as mayor of San Diego, took a centrist path during his first year in office. But, with the economy in the doldrums and Republicans infuriated by his willingness to raise taxes, he soon tacked sharply to the right on taxes and spending. Trailing his opponent in the polls in 1994, he tried to blame the state's fiscal woes on illegal immigrants by backing the punitive Proposition 187, which denied public services (such as health care and education) to illegal immigrants and their children. But, while the strategy got Wilson reelected, it didn't restore his popularity and it left the Republican Party in shambles. Davis, like Wilson, promised a centrist government. The San Francisco Chronicle termed him a "moderate's moderate," and, in his 1999 inaugural address, he promised to "bring down the curtain on the politics of division." Davis initially benefited from the high-tech boom of the late '90s. Armed with revenue from capital gains, he cut taxes and increased spending, while ignoring the underlying contradictions in the state economy. When the high-tech bubble burst in 2000, state revenue fell by 15 percent. Davis first waffled but finally agreed to revoke his earlier tax cuts, including his revocation of an unpopular tax on automobiles. True, Davis was hurt by his failure to respond quickly to the blackouts that plagued California in 2001, but it was his willingness to reinstate the car tax two years later that precipitated his recall. Liberals later criticized Davis for not taking advantage of his early popularity to advance structural reforms, but Davis had good reason to equivocate. If he had broken with the Proposition 13 orthodoxy, he would have faced united opposition from business and Republican conservatives and skepticism from Democrats and independents who benefit from lower property taxes. Current Democratic front-runner Angelides is skittish about criticizing Proposition 13. Asked at a June press conference about how he can promise to have "a truly balanced budget" without undoing the proposition's legacy, he fell back on the usual dodge of closing "$2 billion in corporate tax loopholes. " Pressed later in a one-on-one interview, he reluctantly acknowledges that he would like to tax all businesses at "fair market value" and eliminate the two- thirds requirement on tax increases. Bob Mulholland, the fiesty campaign adviser to the California Democratic Party, simply dismisses the possibility of reforming Proposition 13. "Not in the foreseeable future," he says. Even Lenny Goldberg, director of the liberal California Tax Reform Association, is pessimistic. Goldberg, who has already seen a succession of reform initiatives go down to defeat, says, "It's going to take more research and more grassroots building." In his first months in office, Schwarzenegger clearly recognized that California voters did not elect him because he was a Republican, but because they thought he was beyond party and interest. In his first State of the State speech in January 2004, he pledged three times to follow a "bipartisan" course. To close the $15 billion budget deficit he inherited, he crafted two winning initiatives, Propositions 57 and 58 (a bond issue and a proposal that required enactment of a balanced budget, plus the establishment of a reserve fund), with the support of Democratic Senator Dianne Feinstein and State Controller Steve Westly. He appointed Democratic as well as Republican judges. He negotiated his budget plans with business and labor, including the powerful California Teachers Association. He backed a popular initiative to fund stem-cell research. But, as governor, Schwarzenegger's centrism, like that of Davis, has proved primarily cosmetic. Neither in his campaign, when he chastised supporter Warren Buffett for criticizing Proposition 13, nor in his first year, did he address structural reform. Proposition 57 merely deferred the state's fiscal crisis by borrowing $15 billion in bonds, while the loophole-riven Proposition 58 committed the state government to offering, but not necessarily achieving, balanced budgets. Last fall, faced with continuing deficits and restive Republican conservatives, he decided, as he tells it, to "fix the broken system. " But, for his fix, he looked to the right, adopting the economic strategy promoted by the Chamber of Commerce, the California Taxpayers' Association, and the Business Roundtable. Following this playbook, Schwarzenegger blamed public employees for the state's economic problems. He refused to enforce a state law reducing nurse-patient staffing ratios. He reneged on an agreement with the California Teachers Association to put back into the budget $2 billion in education spending that the union had agreed to cut from the previous year's budget. And he called for privatizing the pension programs for police, firefighters, and other public workers. That plan would have cut state costs, but it would have also killed off the state's pension agency, Calpers, which, as the nation's foremost proponent of shareholders' rights, had become a thorn in the side of corporate CEOs. Conservative Republicans applauded these initiatives, but the rest of the electorate recoiled. Californians actually take a positive view of organized labor--according to a June poll by San Jose State University's Survey and Policy Research Institute, they approve of unions by 57 to 32 percent--and are even more favorably inclined toward nurses, teachers, firefighters, and police. Schwarzenegger got in a particularly nasty battle with the powerful and popular California Nurses Association, denouncing them as "special interests" and boasting that he is "always kicking their butts." When nurses and other workers began demonstrating and running ads against Schwarzenegger, his popularity began to decline. Asked by the San Jose State survey whom they would back in a November initiative battle between teachers and school administrators on one side and Schwarzenegger on the other, respondents chose teachers and administrators by 60 to 31 percent. Schwarzenegger lost important support among the state's independent voters, who now make up almost a quarter of the electorate and serve as the swing voters in state elections. According to voting analyst Mark Baldassare of the Public Policy Institute of California, they are primarily white, middle-class suburbanites who are socially liberal and fiscally moderate and who fear that government and the parties have been captured by special interests. In the October 2003 exit polls, 54 percent of them favored a recall, and they backed Schwarzenegger over his nearest rival by 15 percent. But, as Schwarzenegger began touring nationally to raise money from wealthy donors for his initiatives, erstwhile supporters like Derek Cressman, director of the nonpartisan watchdog group TheRestofUs.org, expressed their disillusionment. "He told us that he would not need to take money from special interests," Cressman wrote on his organization's website last February, "Yet now he's become the Donald Trump of campaign cash--he just can't get enough." Schwarzenegger's following among independents fell accordingly. In a mid-June Field poll, only 36 percent of moderates and 35 percent of independents said they would vote for his reelection. Even some Republican strategists acknowledge that Schwarzenegger misjudged the electorate. Dan Schnur, who served as Wilson's press secretary, says of Schwarzenegger's fall from grace, "I say this as someone who supports Schwarzenegger's reform agenda, but that reform agenda disproportionately reflects the conservative [pro-business] aspects of his ideological agenda and less the moderate. So you have a lot of centrist voters who no longer see the leavening from the cultural and social issues." With his popularity falling, Schwarzenegger has now tried to revive the centrism of his first year. After appearing in Sacramento with Escutia and the adoring schoolchildren, he toured a blue jeans factory in Vernon that was caught underpaying its workers last year. He praised the factory for improving its working conditions, but promised to enforce the state's labor laws rigorously. The next day, Schwarzenegger unveiled a commercial with him and Twins co-star Danny DeVito promoting the forthcoming California State Fair. These gestures might help him temporarily lift his sagging poll numbers, but they won't go anywhere near fixing the "broken system." That may be more than even the former bodybuilder can handle.